When a child learns to write letters, they are forming a motor plan that becomes instinctive. At first, children learn the pre-writing strokes that are needed to copy shapes like lines, a plus sign, an "x", a square, and more complex shapes and forms. Motor planning and the developmental skills that follow allow a child to copy the parts of letters. As they learn to use their "mind's eye" to write the letters without copying, they are able to write the letters needed to write their first name. What follows, is an ability to write letters independently. When a motor plan in handwriting has been established, children can then write words and sentences without copying from a model. There are a lot of pieces that play into motor planning related to handwriting. The body's sensory systems, processing speed, and motor output are all important parts of the motor plan that allows us to write independently. Our body is able to respond to sensory information and know what the arm or hand is doing without directly looking at it. We are able to instinctively process the information needed to move our hands to turn over the paper or open the book. In most cases, we can do these tasks without looking at our hands. 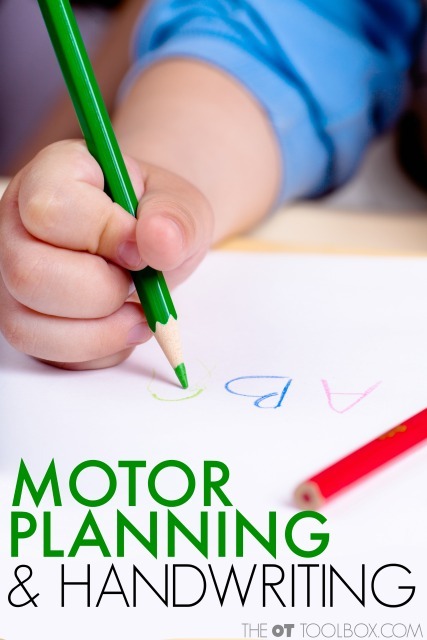 When motor planning is an issue, children might need to look at their hands, think through the actions, and perform the parts of the task slowly or laboriously. Likewise, the typical student learns to write the letters in their name without thinking about the way the letters are formed. We are able to hold the paper with our non-dominant hand while manipulating, rotating, and shifting the pencil with our dominant hand. These tasks and pieces that make up the skill of handwriting becomes automatic with practice. We use the skills that we know in order to perform tasks naturally. 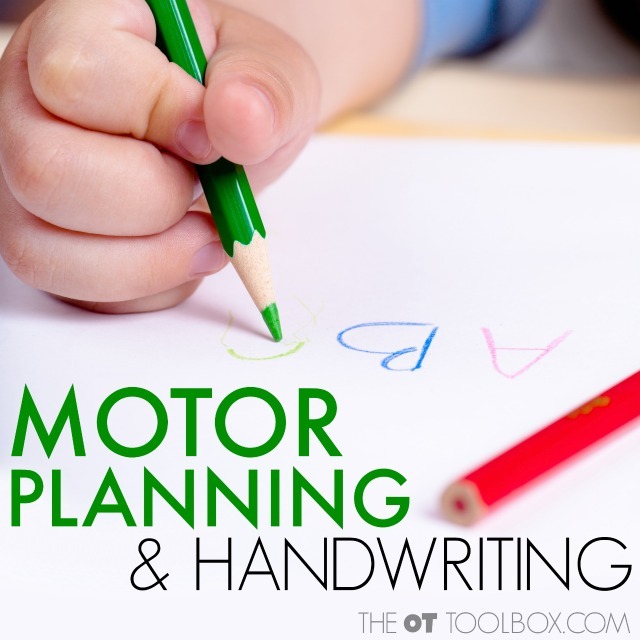 Motor planning and handwriting uses sensory information that is registered, filtered, organized, and used appropriately in tasks like managing paper, pencils, and letter formation. For children with slow processing speed, the sensory information that comes in during handwriting tasks can interfere with motor planning and written work. Handwriting becomes slow, laborious, and illegible, especially as children are required to write more information and at faster speeds in the older grades. Consider the child who has difficulty with motor planning and handwriting. The difficulties may not truly present until the student is required to write spelling words, complete writing prompts while thinking creatively, or use increasing speeds in order to take notes. It is important to note that slow letter formation, inaccurate line use or formation of letters, poor pencil stroke order, or other indications of motor planning concerns in written work are typical of the child who is learning to write. Children will reverse letters, write an "h" when they intended to write an "n", or other inaccuracies. 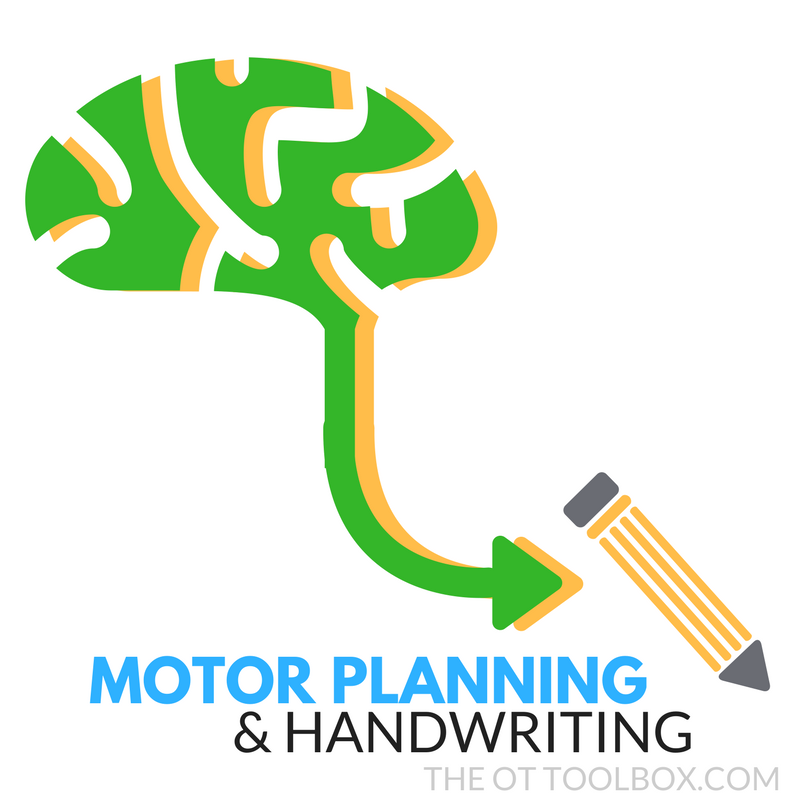 Motor planning and handwriting is just one important piece that makes up the complex skill of written work. 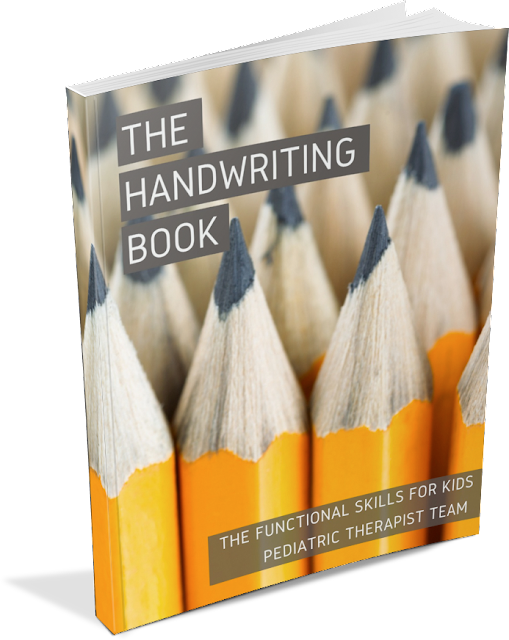 You might know that I have been working alongside several other pediatric Occupational Therapists and Physical Therapists to write The Handwriting Book. This resource is intended especially for parents who have a child who struggles with handwriting, teachers who want to find out more about why their students struggle with written work, and therapists who are looking for creative ways to address common handwriting struggles. 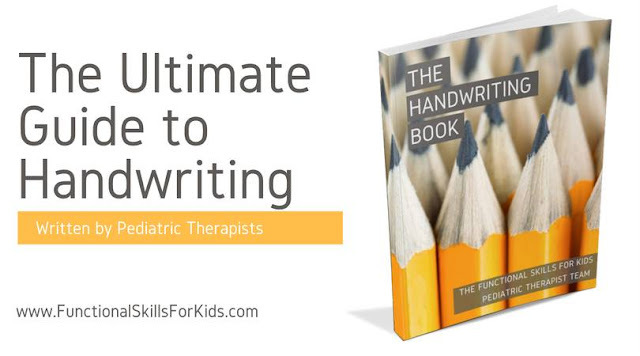 Therapists will find all of the handwriting information, tips, and strategies they need right at their fingertips as they work with kids and write evaluations and goals for the students on their caseloads. Teachers will find information and ideas to support handwriting development in the students in their classrooms. Parents will find information on developmental progression of writing abilities and an understanding of the underlying components related to legible written work. 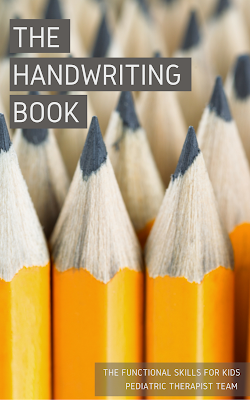 The Handwriting Book launched on National Handwriting Day (January 23rd, 2017).